Samsung has been on a KitKat spree lately, and it has just about covered most of its popular devices from the last two(ish) years with the update. 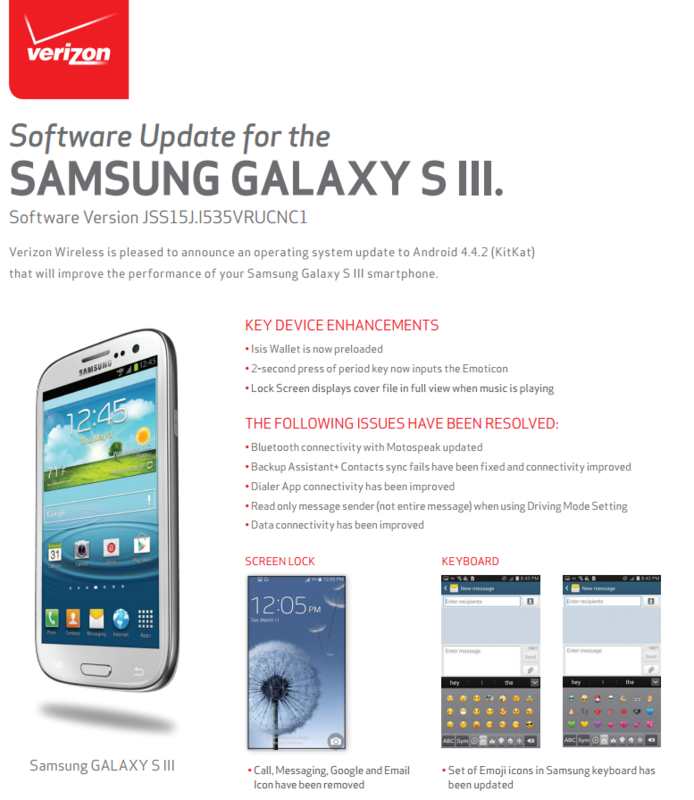 Today, Verizon updated its support docs for the Galaxy SIII, which indicates that the update is on its way in the coming days, as well. 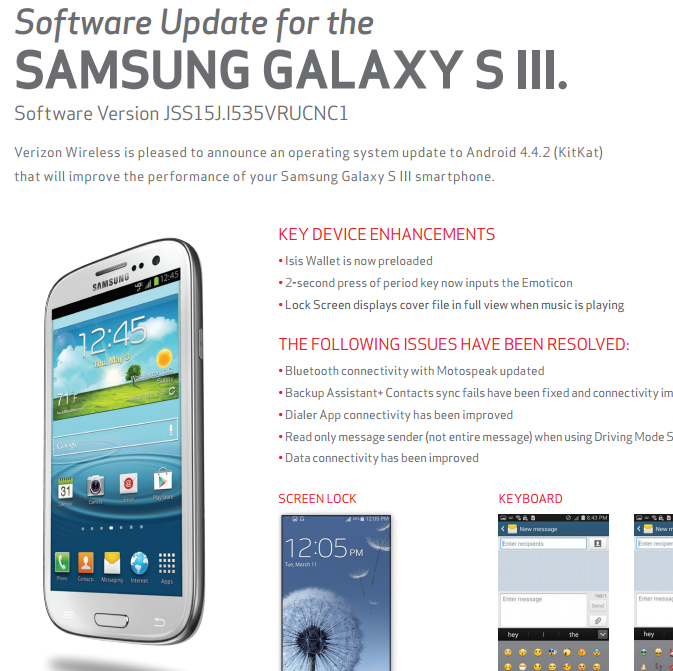 Aside from KitKat, this update brings a couple of new enhancements, like the inclusion of Isis. Otherwise, it's basically the same song and dance – updated applications, bug fixes, an improved multi-app experience, the like. For more information on what Big Red has planned for the OTA, check out the support doc.